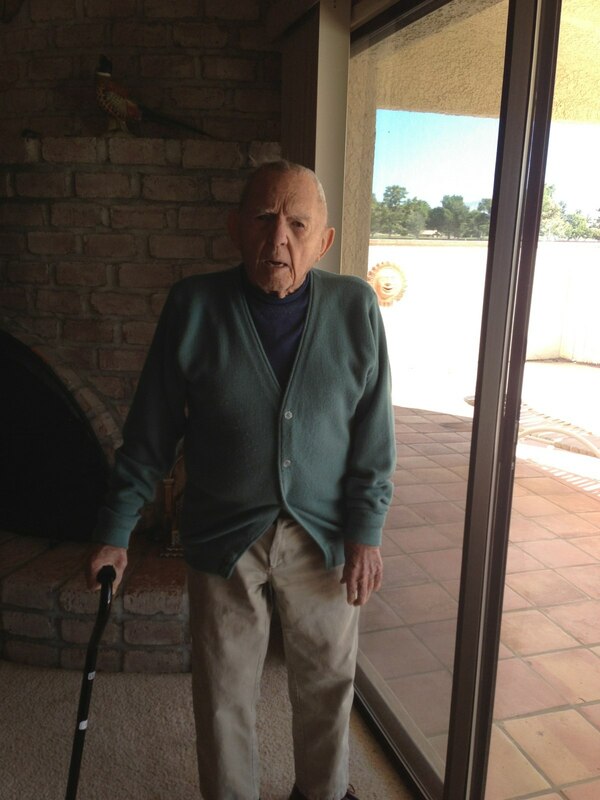 After almost a month, my 95 year-old step-father, Jim, made it back home to his place in Arizona. In a fall that might have toppled a younger, stronger man, Jim has overcome surgery to stop a bleed to his brain, subsequent days in ICU and a long road of rehab. He has been blessed by visits from so much of his family including Janey Boo, Siobhan, Bridget, Tanner, Hannah and great-grandson Victor. Jay has been there every step of the way. We are all hoping that Jim continues to improve and gets back to all the things he enjoys! 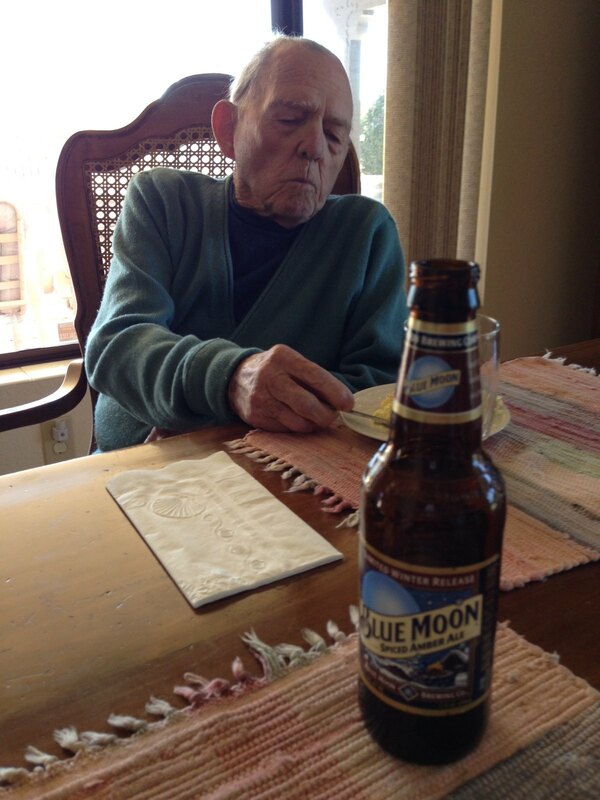 Jim with his favorite ‘Blue Moon’ beer.